Monday: I got back from the courthouse at 5pm, just before Tom sat down for dinner. 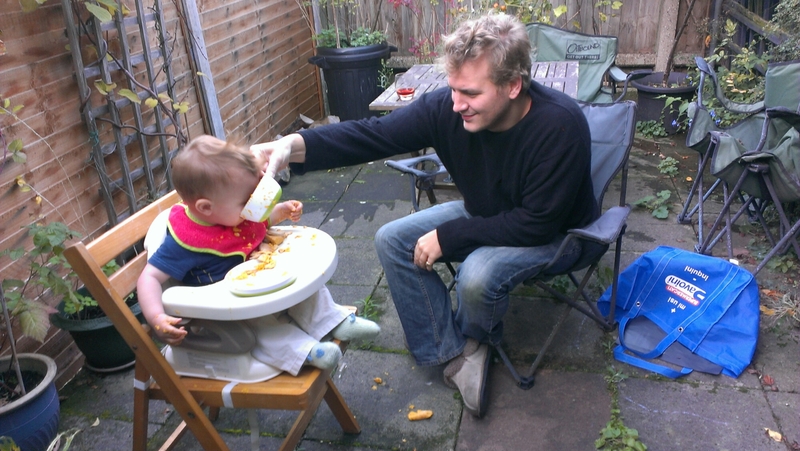 So we grabbed a high chair, Mr Techno and Tom’s soup and had an al fresco meal, followed by a bop about the garden. Wednesday: case over, I was able to get back by 4pm, so Tom and I headed to the park for a short walk and a bit of an explore before heading home for his dinner. Friday: another work day, so essentially same as above. Ton was very tired, so we cut our time in the park a bit short. Saturday: I misread the weather, plus Mr Techno was around until midday, so we didn’t head out until after Tom’s second nap. This was an error – it was a beautiful afternoon and I regretted having wasted the morning inside. 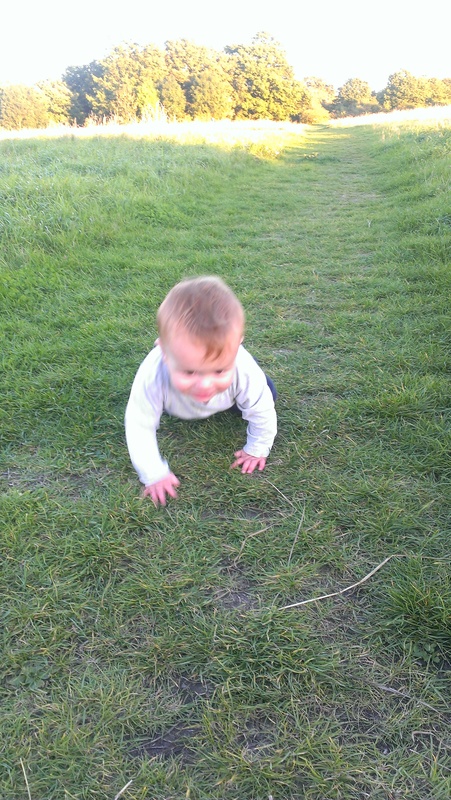 We walked over Walthamstow Marshes, waving to cyclists and foragers on the way, and stopped off in Milfield Park so Tom could have some time to explore. Sunday: all three of us headed to my in-laws house in Waterloo in the morning to celebrate our niece’s first birthday. 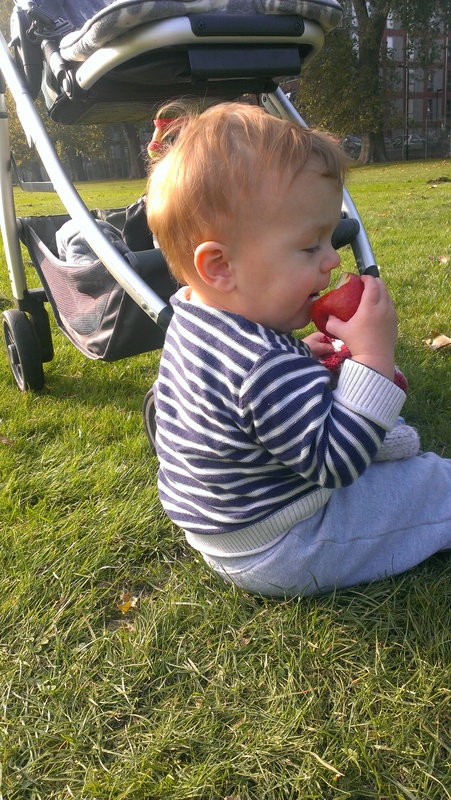 We ate lunch in the garden, the babies had a nap, then we had a tea party that took place mainly outside. Sadly Tom ate too much jelly and was horrendously sick on the bus on the way back. We cleaned up as best we could, but disbelieving looks from other passengers implied we hadn’t quite managed to get rid of the smell. Poor little bear! Overall, I’d give this week a B minus. We got outside every day, but not always for as much as an hour, and with very little inspiration in the places/activities. Could try harder is the verdict! Side note: you’ll notice Tuesday is missing. This is the day Mr Techno looks after Tom whilst I work. I then go to Tai Chi in the evening. So Tom and I both get outside, but separately, as we only spend about half an hour together all day! It will always be excluded from my weekly summaries. 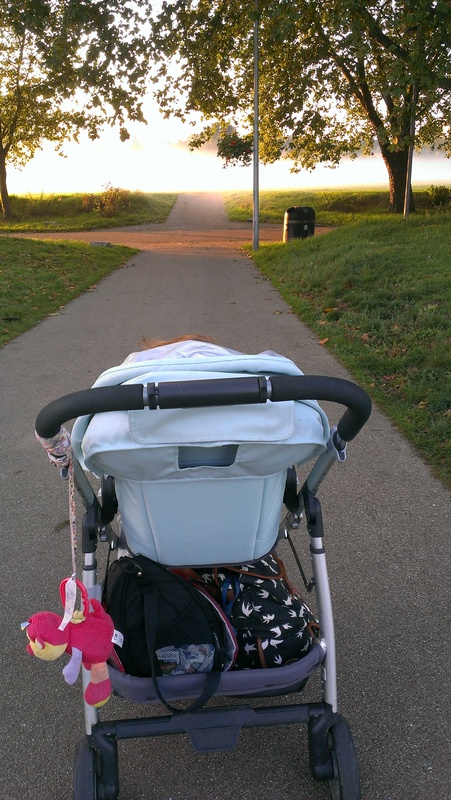 Posted on October 6, 2015 October 20, 2015 by LucyPosted in Weekly UpdateTagged East London, toddler, Wild Time.